Maurice R. Ferré MD is a serial entrepreneur in the medical technology sector. His most recent success was MAKO Surgical Corp. As Co-Founder, Chairman, CEO and President over a period of ten years ( 2003- 2013), MAKO became the world leader in robotic orthopedic surgery. The World Economic Forum recognized MAKO as a Technology Innovator in 2003. The Company was ranked No.1 by Deloitte’s Technology Fast 500 in 2011. MAKO grew to 500 employees and $100M+ in revenues. The company raised over $350M in capital through private and public funding (IPO in 2008 on NASDAQ: MAKO). MAKO was the first company to develop and commercialize 3D printed implants. MAKO had generated or acquired over 300+ patents. In December 2013, Stryker Corp acquired MAKO for $1.65B. 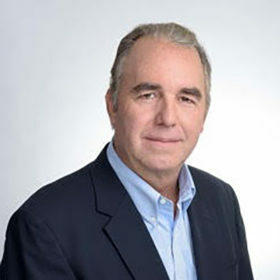 Prior to MAKO, Dr. Ferré was Founder, CEO and President of Visualization Technology Inc. (1993-2002). VTI became the world leader in image guided surgery for ENT, cranial and orthopedic procedures. The Company was acquired by GE Healthcare in 2002. Dr. Ferré received in Doctor of Medicine and Master of Public Health from Boston University in 1992. He was also the recipient of the prestigious Ernest & Young 2007 Entrepreneur of the Year Award. Dr. Ferré is currently active on the following boards: Endeavor Miami, The Everglades Foundation and Boston University.